Among the many things Brighton has a lot of is yoga. Apparently more teachers per square metre than anywhere else in the UK. No surprise then that the city is home to the most exceptional annual event dedicated to the practice. 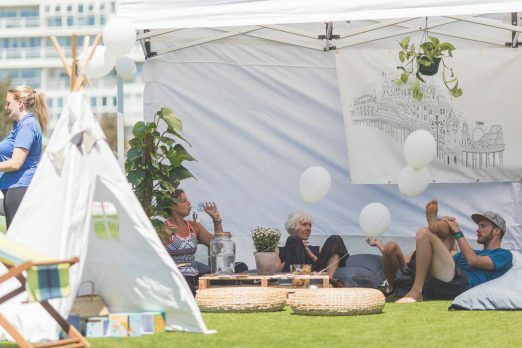 The Brighton Yoga Festival just keeps getting better. A very special program over two days included some of the biggest personalities in the field and covered an extremely broad range of topics. One of the critical factors that makes the event so different from similar ventures in other cities is the team that pull it all together. 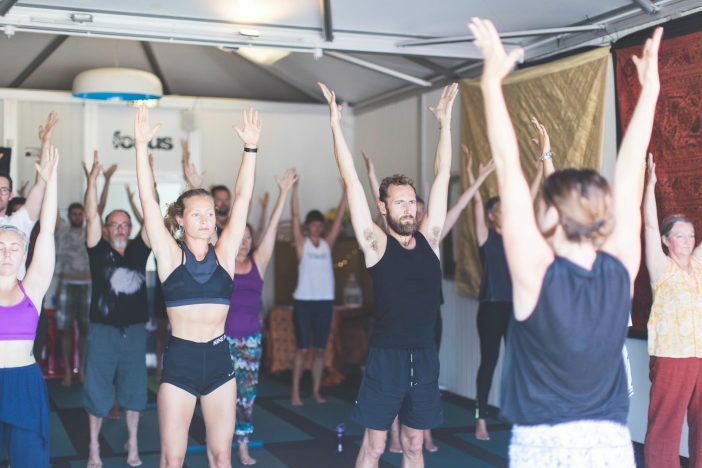 The Brighton Yoga Foundation is based on inclusivity, working throughout the year to break through the image of Yummie Mummies and expensive retreat centres that can put some people off joining in. More of that later, first a little taste of the big event. Speakers from around the world gathered on the Sussex Cricket Ground in Hove. Divided into specific zones, with workshops and over 100 free classes spread between the cool club rooms and a scattering of tents and the lush grass of the pitch, lycra and bamboo-clad enthusiasts and the generally ‘yoga-curious’ took over the sports ground for the whole weekend to roll, breathe, strengthen and lengthen in the glorious sunshine. As ever, there’s a high priority on those who are just starting their yoga journey. 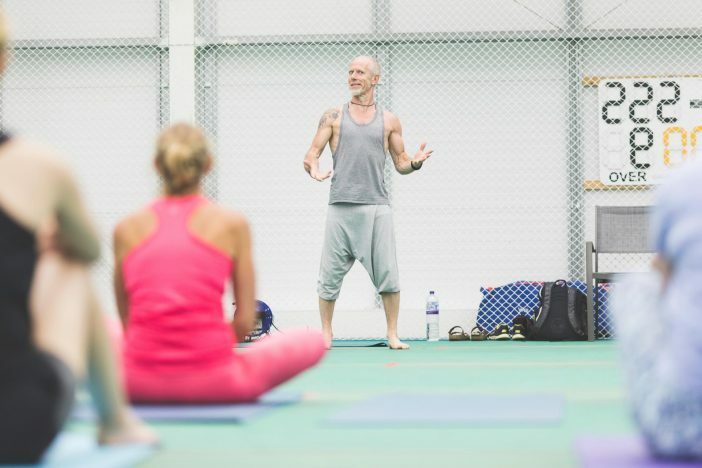 While this event is rapidly becoming a must for senior and experienced practitioners, who packed out sessions from Esther Ekhart and Ashtanga-master Kristina Karitinou-Ireland, there is always plenty for the less experienced yogi to do. Literally 100 classes are available, from laughing yoga to fundamental hatha, and all for free so plenty of ‘normals’ were making the most of things among the hard-bodied super-humans of the yoga elite. You know what? Next year SOURCE might even put her leggings on and get involved. In the mean time if you would like to support the work of the foundation in spreading the gift of yoga, you can contribute to their fundraiser.